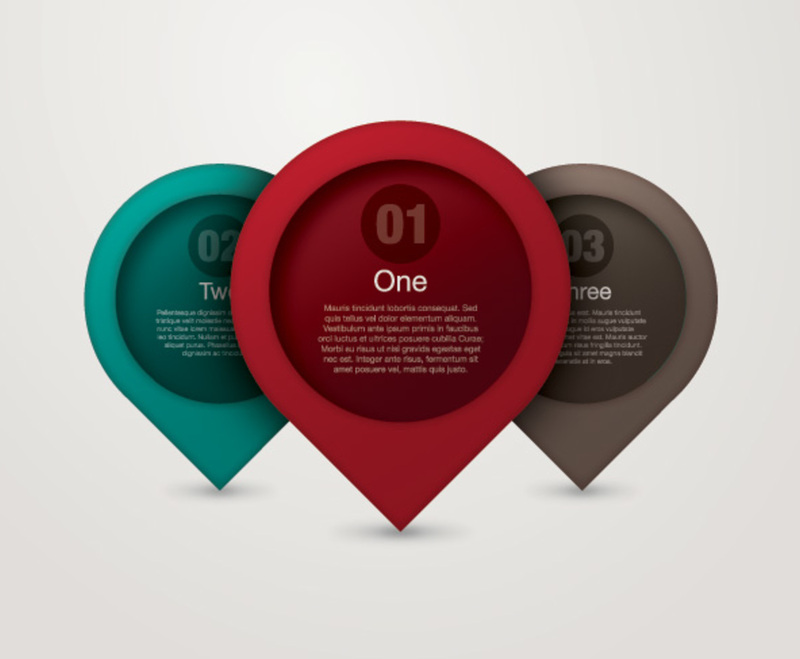 Give your audience detailed directions with these GPS pins. Three placeholders sit in the center of this background. They use the same style as the pins on popular GPS mapping applications, but each contains a block of detailed text in a clean, flat font. A circle at the top of each pin contains a two-digit number, which helps to lead the viewer from one element to the next. Each of the placeholders uses a distinguishing color; the center pin uses a subdued red, which contrasts nicely with the teal and gray of the other two pins without clashing.